All that was needed was to show the immigration officer both my Swiss passport and Tracy’s passport — and we were welcomed. Into a very different Terminal B. When I left Switzerland on Air China flights back in the 1990s, Terminal B would be home to probably only a couple dozen boarding gates. You cleared passport control first before going to your gate — and only there did you clear security check before boarding. Then you waited at a mini-lounge to be admitted onboard. The entirely redone Terminal B was a genius of design only our people could really pull off. 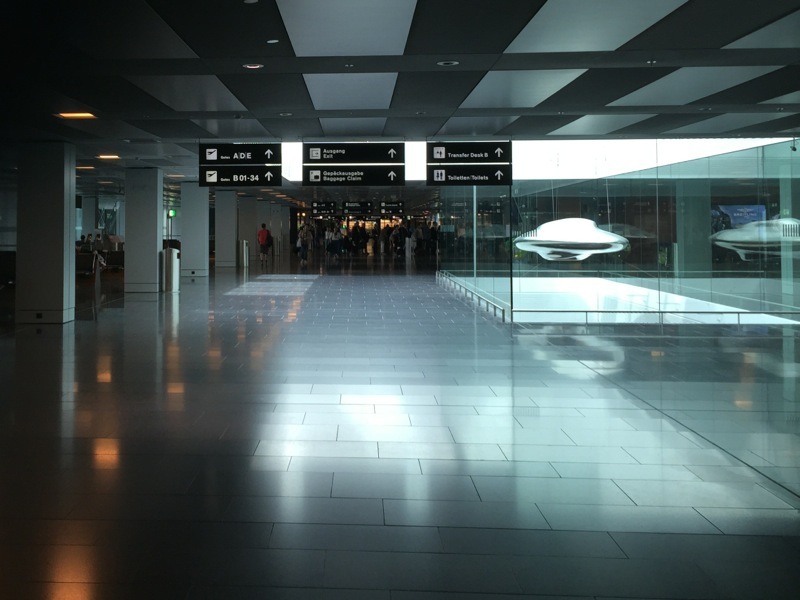 With Switzerland now part of Schengen, they did this amazing design where you had two different airbridges — one for passengers inside the Schengen area, and one for those outside it. For Boarding Gate 34, then, you had B34, which was for one group of passengers, and D34 for another. Finally, as I noted in my 2012 return back to Switzerland, they now had one centralised security area, which was much easier on the travellers once you cleared it. We next headed via Zürich to Lugano — but not without grabbing a little something from both the Migros and the Coop at the airport. 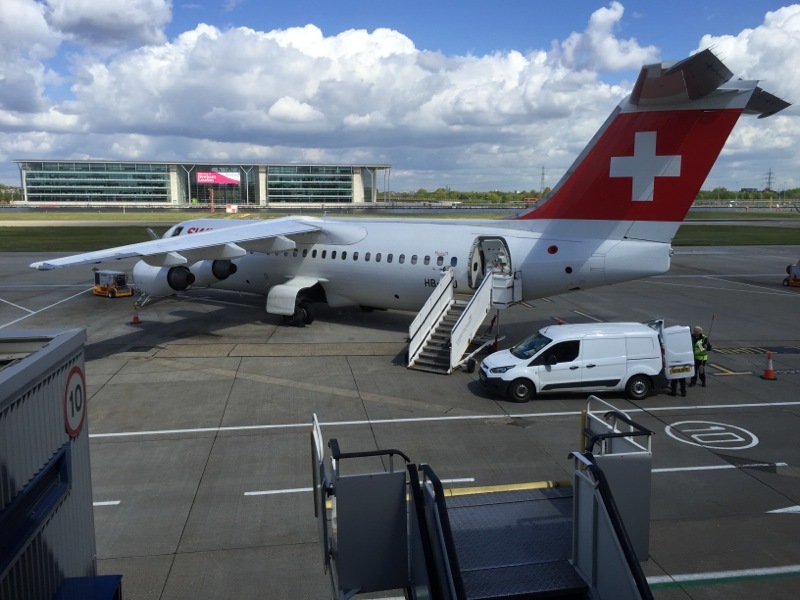 At Lugano Agno airport, we were actually stopped by the Dogana or customs, but that was a breeze — there was nothing anything close to a nervous atmosphere (atmos-fear? ), as I conversed with the customs officer in italiano. Apparently that was it; it was just a quick open – check – close – go! procedure. 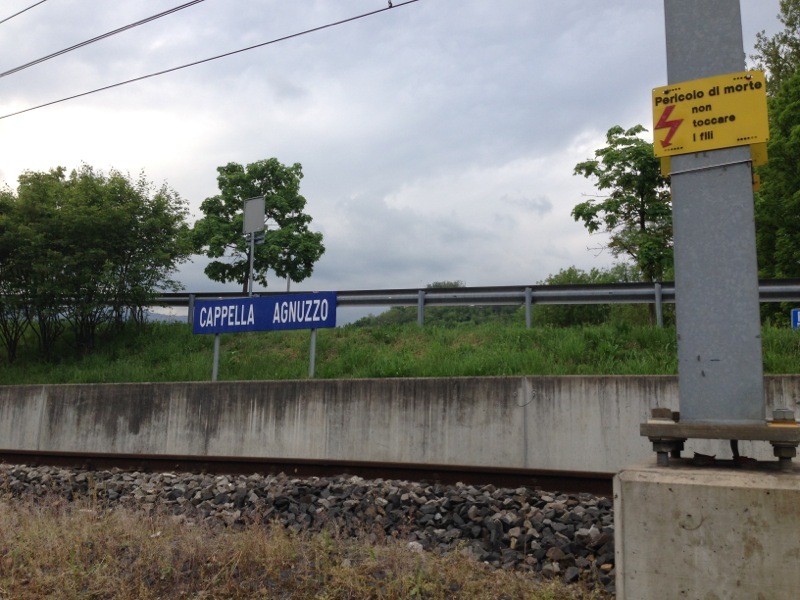 We wanted to get to Lugano the budget-and-fit way, so we actually went uphill on a nearby highway until we reached an intermediate stop — Cappella Agnuzzo — and heaven knew where this was! Thankfully, we made it onto the platform with tickets for a quick connection to central Lugano, where we dumped our bags, went to the big Migros in town (to get Swiss quality stationery and yoghurts! ), and then Tracy did her bit in the hotel, which was nothing short of reinventing instant noodles, but exactly the way I did it in Switzerland. (When I was in Zürich for 12 years, it was noodles every time when I came back after a long trip — incredibly easy to do, and yet it did fill you up!) Everything was just perfect. We had none of this touristy bit; instead, we were all about post-noodle delicacies such as Birchermüesli and Ahornsirup yoghurt.